Meanwhile, Tess’s guardian has also taken on an impossible case, as a terrorist attack calls into doubt who can—and cannot—be trusted on Capitol Hill. Tess knows better than most that power is currency in D.C., but she’s about to discover firsthand that power always comes with a price. 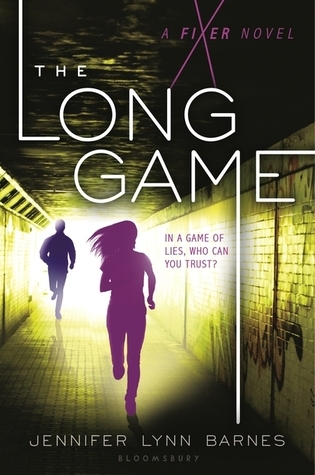 The Long Game was the much anticipated sequel to The Fixer which if you haven’t PICK UP NOW. It’s rare that I say the second book in a trilogy or series is better than the first but this one is totally be. So much better and I loved the first one. This book though drops the mic on the first and then some. Obviously, I’m babbling which I rarely do in reviews but I do, do it when I love a book and I loved The Long Game. I don’t tend to do spoiler heavy reviews so writing this one is a little hard because so much happened. 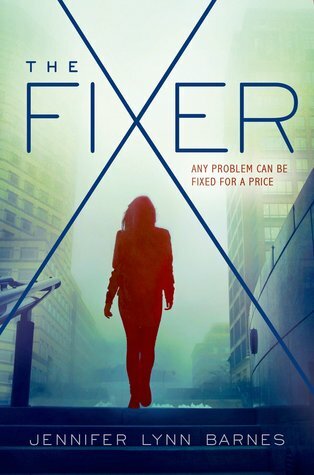 If you thought The Fixer was interesting and filled with twists, well, it ain’t got nothing on The Long Game. Even more bombshells are dropped, the characters are fleshed out further. And oh, there are so many moments that make you think that Barnes knows how to pull out your heart and squish it into itty bitty pieces. I ❤ you Jennifer Lynn Barnes. Seriously, this book has me wanting to revisit your backlist even the more dubious titles that I wasn’t so sure about because this one is well done. Tess really grows and she was already a BAMF in the first book but now, times that infinity. The thing is, she doesn’t feel unrealistic. The character is as flawed as they come and you see this with her relationship with Ivy—note, I did wish that Ivy would’ve been in the book a little bit more but I think having her be a little distant in this book was a little needed. There were twists in this one that I didn’t expect, and I have a feeling when the third book comes out next year I’m going to do a reread of this series because I do think there were some clues in the first book that I didn’t pick up on. One of the most refreshing thing about this series is that it’s not romance heavy. While there is some flirtation and maybe a kiss, it’s not the primary focus of the book. 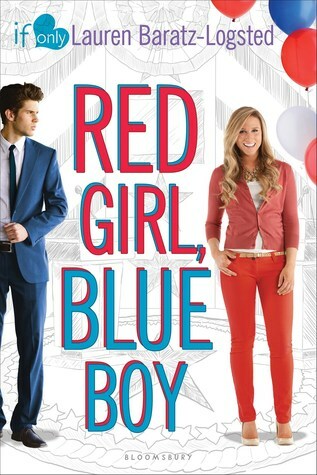 Tess is not focused on boys and I have to say that is refreshing, especially for a YA book. Instead, the book focuses more on friendships and plots and it really works. Overall, if you want something that is a bit different from the typical YA contemporary flare. Read this. It is one of my favorites this summer. Barnes has really upped the ante and….oh, this book. Overall Rating: An A+. Yeah, rarely give them but this one was a joy to read. When the NSA approaches Darrow Fergusson, Addie’s childhood best friend and the son of the president’s chief of staff, he doesn’t know what to think. How could this slip of a girl be a threat to national security? But at the risk of having his own secrets exposed by the powerful government agency, Darrow agrees to spy on Addie. Obviously, there’s been a bit of an absence on the blog. Blame the Louisiana bar exam for that. They don’t call it the fourth worse one in the country for nothing, ya’ll. The good thing is the test is done, so my free time has improved for the time being. I’m sure that could change though. This review will probably be a quickie though for various reasons. 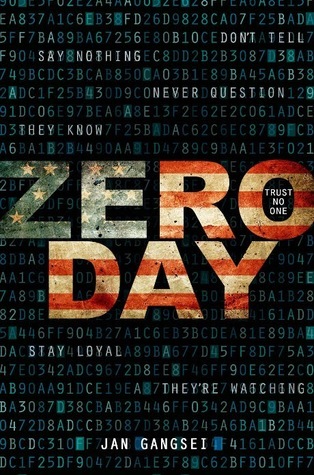 I read or should I say partially read Zero Day about six or seven weeks ago. I probably shouldn’t even be writing a review at this point since I forgot a lot of details about the book, but I do remember why I DNF’d it, and that for me justifies a little blurb of my thoughts of this book. I’ll be honest, plot wise it kept me intrigued. But the characterization has been so horrible, that I could not stomach continue reading it. It was really sad, because the plot was pretty interesting if a bit cliche and a little too over the top. Full disclosure, I do like political thrillers and stories about kidnappings, so this really should have been up my ally. But there was really nothing unique about the set up and everyone felt so wooden that it failed. I think had the book just been a political thriller, it would have been fine. While I do like my characterization, with politics you can’t expect a lot of emotion. Can’t say the same about kidnapping stories though. With kidnapping stories, the emotions should be raw. You should be able to connect to the characters on a certain level. But here I could not feel for Addie or any of her friends and family, they just felt wooden. Who knows, maybe they improved as the book progressed. But this is one of those cases where I just didn’t bother finding out. This thriller YA is Scandal meets Veronica Mars. Sixteen-year-old Tess Kendrick has spent her entire life on her grandfather’s ranch. But when her estranged sister Ivy uproots her to D.C., Tess is thrown into a world that revolves around politics and power. She also starts at Hardwicke Academy, the D.C. school for the children of the rich and powerful, where she unwittingly becomes a fixer for the high school set, fixing teens’ problems the way her sister fixes their parents’ problems. And when a conspiracy surfaces that involves the family member of one of Tess’s classmates, love triangles and unbelievable family secrets come to light and life gets even more interesting—and complicated—for Tess. Perfect for fans of Pretty Little Liars and Heist Society, readers will be clamoring for this compelling teen drama with a political twist.